6pm has up to 75% Off Spring Cleaning Sale. Shipping is free with $50. 6pm has select backpacks on sale for $16.99. Shipping is free on $50+ or on orders of 2+ items. (Today Only) 6pm has $17 Lucky Sale. Shipping is free. 6pm offers Free Shipping all Orders. Valid 3/10 - 3/17. 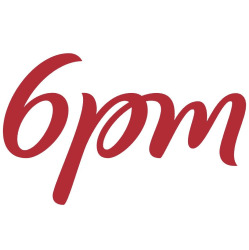 6pm takes up to 85% off a selection of clothing, shoes, and accessories for its Clearance Sale. Shipping adds $3.95 or get it free when you spend at least $50 or purchase two or more items. Over 3,000 styles for men, women, and kids are discounted, although most are women's. Brands on sale include PUMA, Sam Edelman, Naturalizer, Seychelles, Nine West, and LifeStride. 6pm has select the North Face apparels on sale for up to 60% Off. Shipping is free on $50+ or on orders of 2+ items. 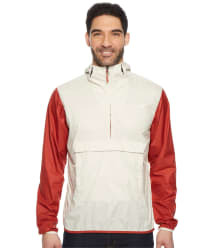 6pm has The North Face Men's Matthes Jacket, in 3 colors for $59.60 (was $159). Shipping is free. 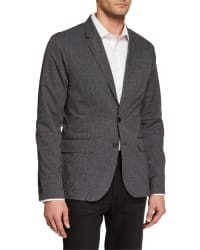 6pm offers the Kenneth Cole New York Men's Tech Mesh Blazer in Heather Grey for $29.99 plus $3.95 for shipping. That's the lowest price we could find by $36. It's available in sizes S to XXL. 6pm takes at least 70% off select clearance items for its Clearance Closet Sale, with prices starting around $5. Shipping adds $3.95, but orders of $50 or more qualify for free shipping, as do orders of any two items. Lots of big brands are included in this sale, like Converse, Ralph Lauren, Dr. Martens, ASICS, and Calvin Klein. 6pm offers The North Face Men's Fanorak Windbreaker in White Vintage Multi for $39.95 plus $3.95 for shipping. That's the lowest price we could find by $35. It's available in sizes L to XXL only. 6pm discounts a selection of clothing and accessories to $20.19 during its $20.19 New Year Sale. Shipping adds $3.95, although orders of $50 or more bag free shipping (as do orders of any two items). 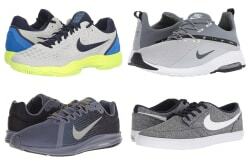 Discounted brands include Reebok, Tommy Hilfiger, adidas, Under Armour, and Ralph Lauren.